Write a letter to President Donald Trump while learning the standardized essay format. This great brain teaser challenges your child to unscramble president names and a riddle. 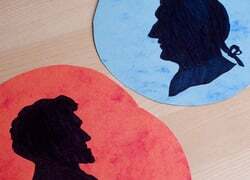 It's a fun Presidents Day worksheet featuring Mount Rushmore! 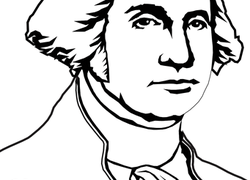 Celebrate presidential history with this George Washington coloring page, which features both the first American President's image and his name. Learn the important dates in the life of Abraham Lincoln. What if your child were President? 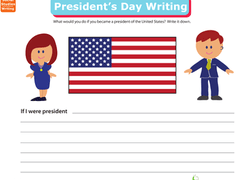 Get his political mind pumping with a writing activity about what he would do as President of the United States. Colour in a picture of George Washington according to the colour-by-number guide. Use a Venn diagram to compare President Barack Obama with famous presidents George Washington and Abraham Lincoln. 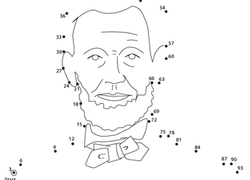 Use the colour-by-number key to colour a picture of President Barack Obama. Learn about the important dates in George Washington's life and sort them into a timeline. Write your own Abraham Lincoln biography using a simple essay template. On this fun social studies worksheet, kids read about some of the things John Adams accomplished, then test their knowledge with a fun unscrambling activity. Learn all about the events of President Barack Obama's life while sorting them into a timeline format. Draw a picture of the Washington Monument if you designed it! Colour one of the most famous and significant presidents of all time, Abraham Lincoln. What would you do if you were president? Think deep and pour it out on this worksheet. Your second grader can create his own presidential seal by coloring in this fun printable page.